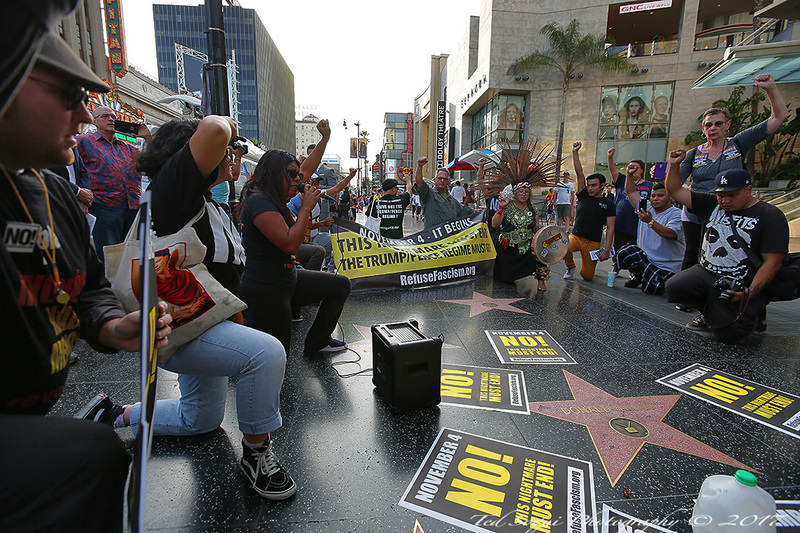 Demonstrators hold a "take a knee" and hold a "die in" at Donald Trump's star on Hollywood's Walk of Fame. 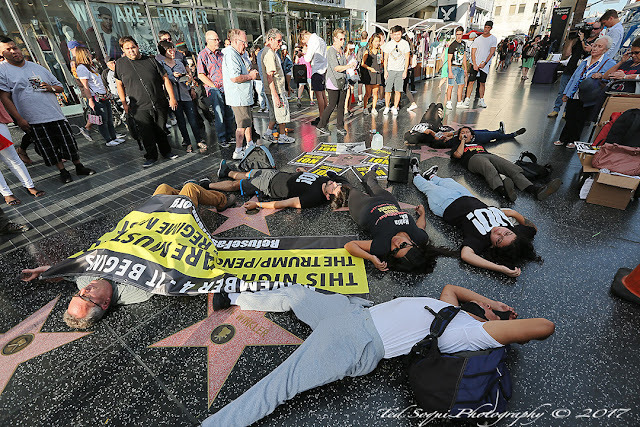 The "die in" was a protest against war with North Korea and the "take a knee" was in support of athletes right to free speech. 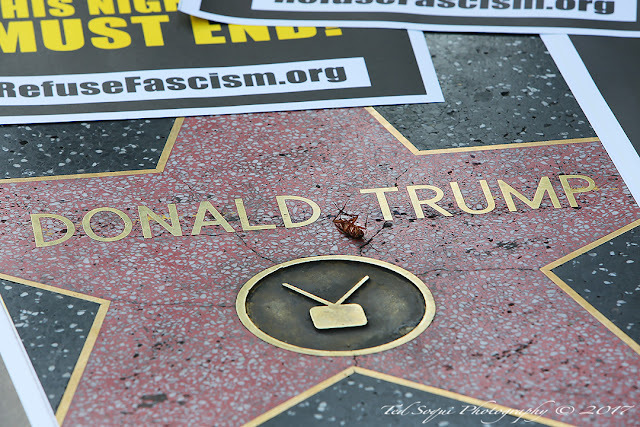 Dead roach on Donald Trump star.